The larger, but perfectly proportioned dimensions of the Stovax Stockton 7 wood burning and multi-fuel stove make it an ideal choice for grander rooms. With significant heating potential of up to 7kW, it is easily capable of providing warmth and ambience to even the loftiest of spaces. 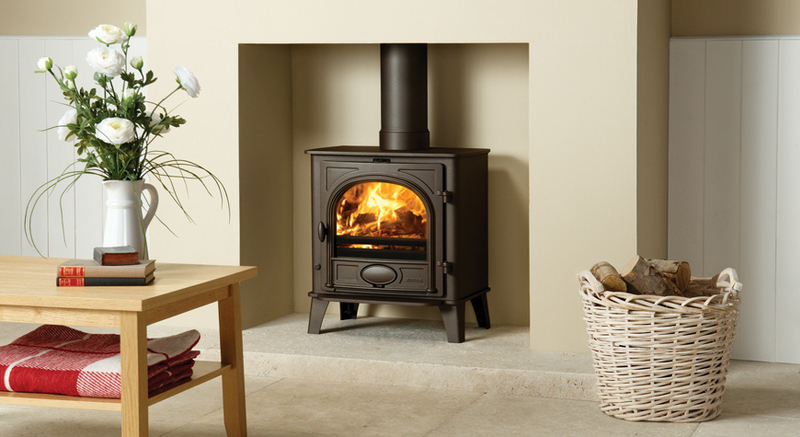 Available as a multi-fuel stove or a dedicated woodburner, the Stockton 7 can take logs up to 12¾” (325mm) in length.